-sizing: content-box; color: rgb(0, 0, 0); font-family: Ubuntu, "Open Sans", sans-serif; font-style: normal; font-variant-ligatures: normal; font-variant-caps: normal; letter-spacing: normal; orphans: 2; text-align: start; text-indent: 0px; text-transform: none; white-space: normal; widows: 2; word-spacing: 0px; -webkit-text-stroke-width: 0px; background-color: rgb(255, 255, 255); text-decoration-style: initial; text-decoration-color: initial; border-radius: 0px !important;" class="fr-tag">-color: rgb(255, 255, 255); font-family: Georgia; font-size: 18px;">Attention home buyers, first time home buyer , Military or out of state home buyer. What does your REALTOR do for you? Here is a quick outline of what your AZ Prestige Group REALTOR will do for you. -radius: 0px !important; box-sizing: content-box; color: rgb(0, 0, 0); font-family: Ubuntu, "Open Sans", sans-serif; font-size: 13px; font-style: normal; font-variant-ligatures: normal; font-variant-caps: normal; font-weight: 400; letter-spacing: normal; orphans: 2; text-align: start; text-indent: 0px; text-transform: none; white-space: normal; widows: 2; word-spacing: 0px; -webkit-text-stroke-width: 0px; background-color: rgb(255, 255, 255); text-decoration-style: initial; text-decoration-color: initial;" class="fr-tag">-sizing: content-box; line-height: 28.8px; font-family: " Helvetica Neue"; font-weight: bold; color: rgb(71, 85, 119); border-radius: 0px !important; font-size: 24px;">Executives Agent you will get. -tag">•I will set a schedule and show you homes that meet your criteria. -tag">•I will negotiate the purchase of property on your behalf. -tag">View homes with AZ Prestige Group Agent . -tag">Get keys after recording of signed documents. Arizona native, born and raised in Tucson, Bryan grew up in a family with a Real Estate background. 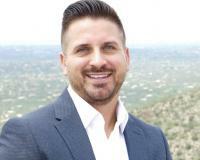 His Father retired with more than 30 years in the Real Estate business, and his Mother and 2 older sisters also hold Real Estate licenses in Arizona. Bryan first became licensed at the age of 18, his knowledge is in all aspects of the Real Estate business, including but not limited to; selling, listing, and working with all types of buyers to help them find their dream home, or that perfect investment property. Bryan is an integral part of a diverse team, and contributes a wealth of knowledge with his history in Tucson, and Pima County. Bryan is a full time agent, and is dedicated to his profession. He is always willi ng and ready to take a call when it comes to Real Estate! Bryan is a supporter of the University of Arizona , and loves to attend football games. He also enjoys hiking , and taking time to polish his golf game at any one of the amazing gold courses Tucson has to offer. Bryan is also an active member of the Young Professionals Network in Tucson , and enjoys learning and contributing to the promotion of growth of young professionals in Tucson. 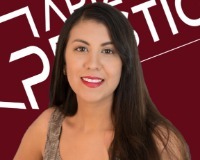 "Dealing with Bryan Alvarez from Realty Executives was a pleasure. He was very fast to answer any questions we had and sent us emails of houses for sale every day. The houses he sent were exactly what we were looking for, making our purchase very fast. Since we lived out of town, Bryan assisted us with everything we needed to complete our closing long distance and also gave us names and contacts of people we needed to maintain our new home until we made it to Tucson, AZ. Bryan is a bright, and very attentive to your needs during and after the process of buying a home. I would definitely recommend him for your next housing needs."